Normie Rowe AM (born Norman John Rowe on 1 February 1947) was the preeminent male solo star of Australian pop music in the 1960s. Known for his bright, edgy tenor voice and dynamic stage presence, many of Rowe's most successful recordings were produced by Pat Aulton, house producer for the Sunshine Records, Spin Records and Festival Records labels. Backed by his band The Playboys, Rowe released a string of Australian pop hits on the Sunshine Records label that kept him at the top of Australian charts and made him the most popular solo performer of the mid-1960s. Rowe's double-sided hit "Que Sera Sera" / "Shakin' All Over" was one of the most successful Australian singles of the 1960s. Between 1965 and 1967 Normie was Australia's most popular male star but his career was cut short when he was drafted for compulsory military service in late 1967. Rowe's subsequent tour of duty in Vietnam effectively ended his pop career, and he was never able to recapture the success he enjoyed at his peak. Normie's first single, released in April 1965, was a brooding 'beat' arrangement of Gershwin's "It Ain't Necessarily So" (from Porgy & Bess) a choice suggested by Stan Rofe. It was a Top Ten hit in most capitals (#6 Sydney, #1 Melbourne, #3 Brisbane, #5 Adelaide) , even though Sydney pop station 2SM (then owned by the Catholic Church) banned it because of its supposedly sacrilegious lyrics.The inspiration for Normie Rowe's version was apparently a 1963 version by UK band Ian & The Zodiacs. Some references cite the course as a version by The Merseybeats, but that band never recorded "It Ain't Necessarily So". The name of the Ian & The Zodiacs' album This Is Merseybeat has apparently been confused with the name of the band The Merseybeats. Normie's first LP was released in July. His second single (also apparently discovered while trawling through Rofe's vast record collection), released in August, was a cover of Ben E. King's "I (Who Have Nothing)". It became his second Top 10 hit (#10 Sydney, #4 Melbourne, #23 Brisbane, #6 Adelaide). Normie Rowe's version of "Que Sera Sera" on the Sunshine Record label Although Normie's third single, "I Confess" / "Everything's Alright" was apparently withdrawn before or soon after release, the next single became the biggest hit of his career. The A-side was a cover of "Que Sera Sera" (best known from the Doris Day original), which was given a 'merseybeat' treatment (in the manner of The Beatles' "Twist & Shout"). Paired with a powerful version of the Johnny Kidd & The Pirates' classic "Shakin' All Over", the single became a double-sided #1 hit in most capitals (#1 Sydney, #1 Melbourne, #1 Brisbane, #1 Adelaide ) in September, charting for 28 weeks and selling in unprecedented numbers -- rock historian Ian McFarlane reports sales of 80,000 copies while 1970s encyclopedist Noel McGrath claimed sales of 100,000, and it is reputed to be the biggest-selling Australian single of the 1960s. Normie scored another first in October by having three hit singles in the Melbourne Top 40 simultaneously. An oft-repeated story that the whistle used in the arrangement was an innovation by the record's producer appears to be unfounded because very similar arrangements, complete with whistle, had been recorded on earlier versions by Earl Royce & The Olympics (UK, 1964) and by The High Keys (USA, 1963). 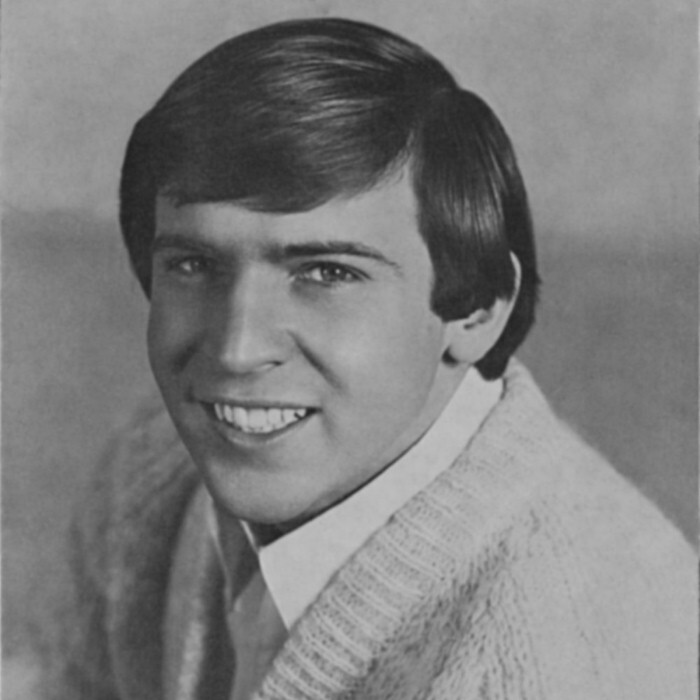 Rowe's success continued through late 1965 and into the first half of 1966, during which time he scored another three consecutive Top Ten singles. "Tell Him I'm Not Home" (Nov. 1965) -- a cover of a song originally recorded by Chuck Jackson in 1963 -- was a Top 5 hit in most mainland capitals, reaching #4 in Sydney, #2 in Melbourne, #1 in Brisbane and #2 in Adelaide. It was followed by his version of Bacharach & David's "The Breaking Point" (b/w "Ya Ya", Feb. '66) which became his second double-sided hit, making the Top Ten in all mainland capitals, peaking at #8 in Sydney, #2 in Melbourne, #1 in Brisbane, #9 in Adelaide and #2 in Perth. "Pride & Joy" (June '66) was also Top Ten in most state capitals . This single is also notable for its B-side, a cover of "The Stones That I Throw", written by Robbie Robertson, a song originally recorded in 1965 by Levon & the Hawks, later known as The Band. Mid-year he joined The Easybeats, Bobby & Laurie and MPD Ltd on "The Big Four" national tour that played to huge crowds around the country. United Kingdom: 1966-1968 Normie was by this time the most popular solo performer in Australia, so in August 1966 he left to try his luck in the UK. In preparation he revamped the Playboys lineup. Several members wanted to stay in Australia for family reasons, so Normie replaced them with Brian Peacock (bass) and Rod Stone (guitar), both from the rececntly defunct New Zealand band The Librettos. Arriving in London ahead of his band, Normie took on Ritchie York as his London agent, and began to record with producers Trevor Kennedy and John Carter, using the cream of London's session musos, including Big Jim Sullivan, Jimmy Page, John Paul Jones, famed drummer Clem Cattini and vocal group The Breakaways. The sessions produced several strong new recordings including "Ooh La La", "It's Not Easy", "Mary Mary", "Turn On The Love Light" and "Can't Do Without Your Love". Despite Normie's absence in London, his run of chart success in Australia continued. His next single, "Ooh La La" / "Ain't Nobody Home" (Nov. 1966) became yet another double-sided hit Top 5 hit in most capitals -- #2 in Sydney, #1in Melbourne and Brisbane and #4 in Adelaide.